As I walked along I came across lots of Dandelion, shining very brightly despite the grey, overcast day. 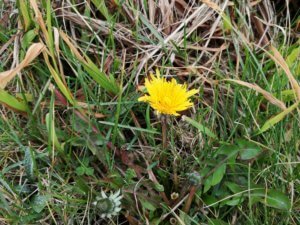 Thanks to so many people getting the word out, I suspect almost everyone now knows that the Dandelion is a vital food source for the bees recently out of hibernation, not to mention how good it is for people. Look at how bright and juicy these Blackberry or Bramble shoots are! Just brimming with life and very tasty in salads and juices, a real spring tonic. 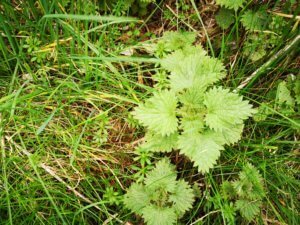 Another spring tonic, the lovely Nettle. Full of chlorophyll and lots of nutrients. 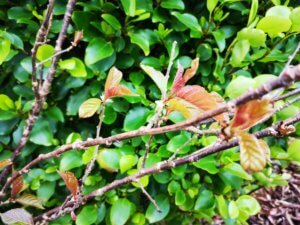 A perfect plant for building the blood after winter. This is Honeysuckle or Woodbine. 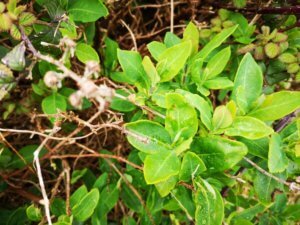 Honeysuckle is a powerful anti-viral so if you have a cold or ‘flu, collect some leaves and make yourself a cup of medicinal tea. You can find out more about her in The Weed Handbook Volume 2. 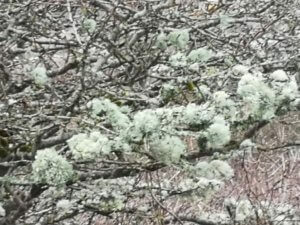 I think last year she was in bud earlier so I am wondering if we can expect different weather this summer. 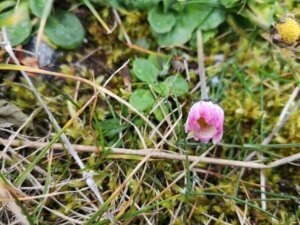 This little flower is known as Day’s Eye or Daisy and she is closing up as the day is so overcast. 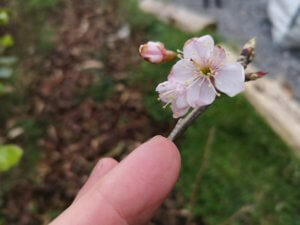 You can see the edges of the petals are tinged pink. My lovely aunt used to tell me, when I was a small child, that the pink was the remains of the flower’s lipstick after she had been to the Flower Ball. What other explanation could there be? 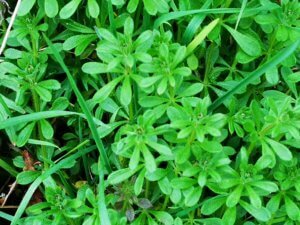 This is Cleavers, one of my favourite herbs. Another spring tonic, Cleavers removes metabolic waste from the lymph system and from the blood. She is also making her appearance a little later than last year, in my neck of the woods. It pays to keep an eye on things I think , if we want to make any sense of the weather we are having these days. 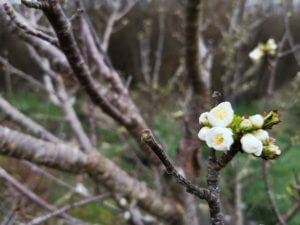 and Wild Cherry, which is already in leaf! This tree also has a fully opened flower. I am in such a state of anticipation! 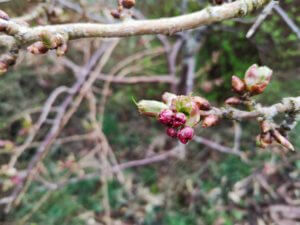 I took lots more photographs – of Forsythia and Lilac, of Rowan buds and Guelder Rose. All the buds are so sweet and innocent, so vulnerable but SO full of potential too. It is no wonder we use the term “budding” when we refer to someone who is on the verge of becoming something wonderful. Nature is wonderful. 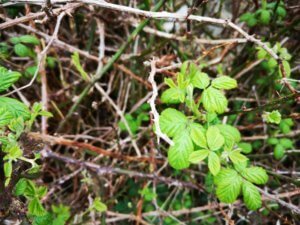 It is hard at the moment to envisage the garden being colourful and vibrant again, but the tree buds and the stirring hedgerow greens bestow optimism and hope and that thrill of excitement that something is going to happen!! 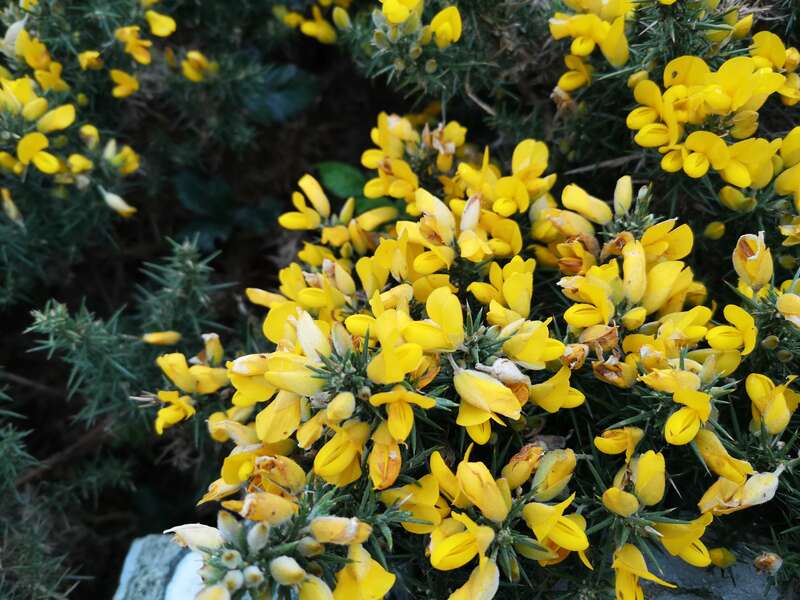 Any trees in your garden in bud or flower yet? Your enthusiasm and optimism are catching! It’s that time of year! It’s glorious. Enjoy your stalking! Lovely photos, Teri. I like look forward to the rest of them. Thank you for all the wonderful stories. I did not know about woodbine. I have cleavers coming up again this year. Time for a new homemade tincture. I’m excited your next book is out.v I’ll be sending for it right away. Blessings on you and yours. Congrats on the new book! Photographs are absolutely stunning too, you’ve really captured Spring. Beautiful photos Terri, I love your Weed Handbook Volume 1and I have just ordered volume 2. can’t wait! Thank you. i want to visit connemara this summer. 🙂 I hope I can save enough money. Thank you wonderful information. I am glad you are finding the information useful.